The Scholars at Risk Network and Maynooth University in Ireland are pleased to announce the launch of Scholars at Risk Europe. 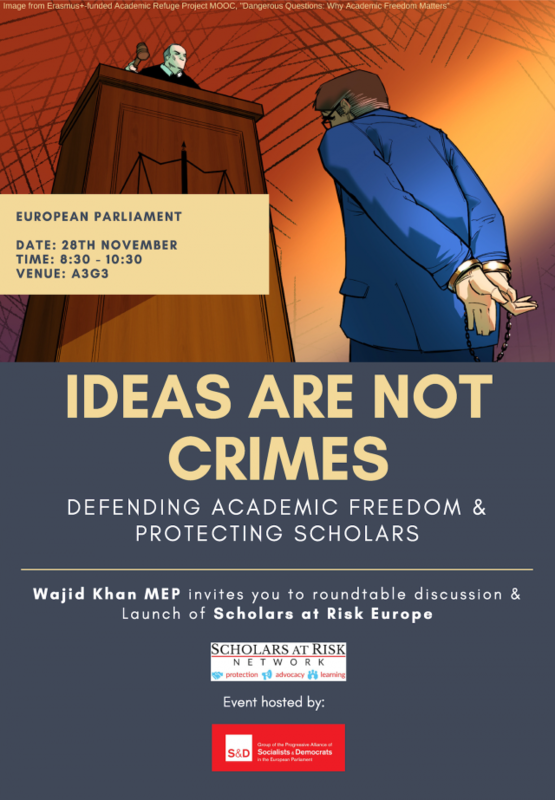 The launch will be held at the European Parliament in Brussels on November 28th from 8:30AM to 10:30AM, together with a round table discussion on academic freedom, hosted by Wajid Khan MEP. The new SAR Europe will coordinate the Europe-wide activities of the global Scholars at Risk Network to protect scholars and promote academic freedom. The event programme features remarks by Claude Moraes MEP, Mairead McGuinness MEP, representatives from SAR, Maynooth, and EU and NGO representatives from across Europe. We hope you will join us in Brussels! If you require a security badge for the European Parliament, please register here.